Deer Creek State Park is a popular Ohio vacation destination about an hour southwest of Columbus. The park sports a 18-hole championship golf course, a nearly 1,300 acre lake with unlimited horsepower boating, and a 1,700 foot public swimming beach. One of the hiking trails at Deer Creek State Park. Photo by Angela Williams. The park’s modern lodge is managed by Xanterra, who also runs other Ohio State Park lodges, including Salt Fork, Mohican, but no longer Hueston Woods. 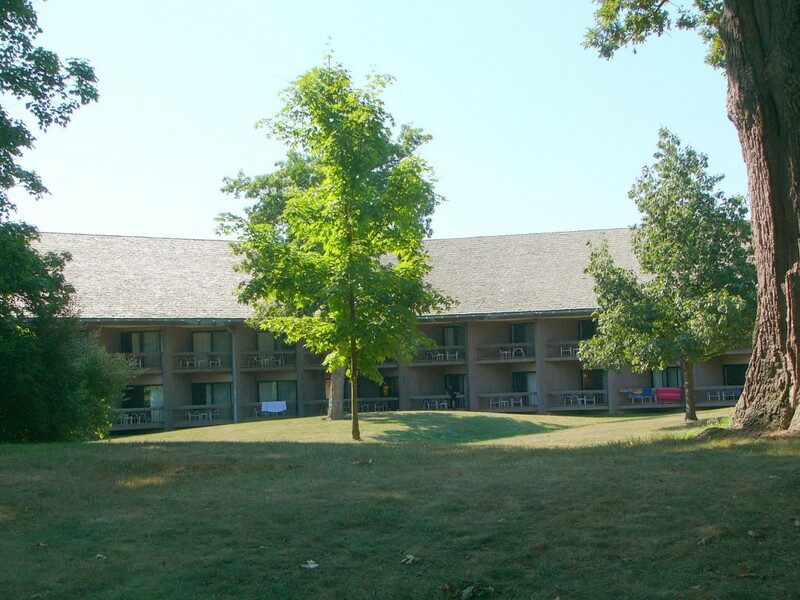 The Deer Creek lodge features 110 rooms and an excellent restaurant. Since Deer Creek likes in Ohio’s mostly flat till plains, its scenery isn’t as impressive as other parks in the state. The park makes up for this with a copious amount of outdoor activities, including its popular championship golf course and a large lake with unlimited horsepower boating. 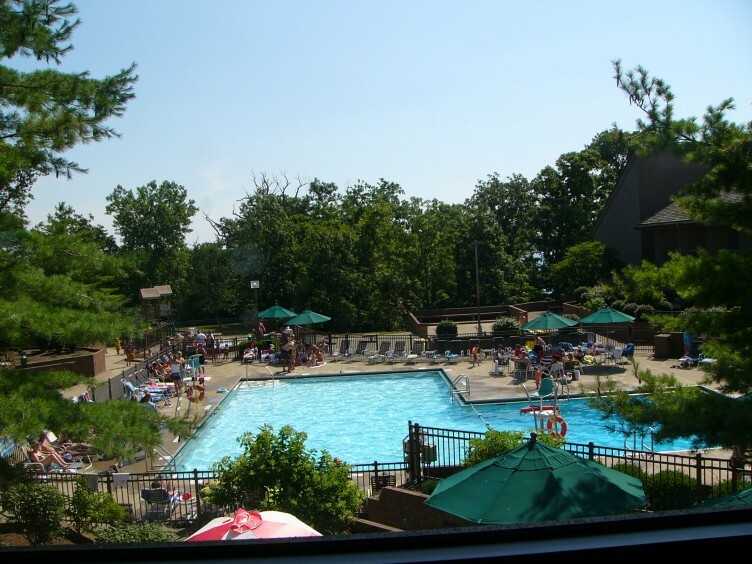 Deer Creek State Park features both an indoor pool and the outdoor pool pictured here. Photo by Angela Williams. The park’s hiking trails are limited, with the two-mile Rich Van Horn Nature Trail being the most scenic. There is also an 18-mile bridle trail for horseback riding. The lake with its marina and large public beach is quite popular during the summer months. Fishing is especially abundant in Deer Creek Lake. Saugeye fishing below the lake’s dam is a legendary spring past time in the area. The lake is also known for its catfish and largemouth bass. Boat rentals are available at the marina. The lodge at Deer Creek is the park’s jewel. One of the newest of Ohio’s state park lodges, it features an excellent restaurant including a view of the lake, along with indoor and outdoor pools. There is also a lounge and a gift shop with a good supply of locally-flavored items and sundries. The lodge at Deer Creek State Park. Photo by Angela Williams. In addition to the lodge, Deer Creek State Park sports 25 family cottages for rental, and a campground with 227 electric sites. Most of the fully-furnished cottages also feature great views of Deer Creek Lake. Guests wanting a more historic stay have the Harding Cabin as an option. Once a favorite spot of President Warren G. Harding, the Harding Cabin features all of the modern amenities as well as a rustic and private setting. This is a great opportunity to relive the Teapot Dome Scandal while on vacation. 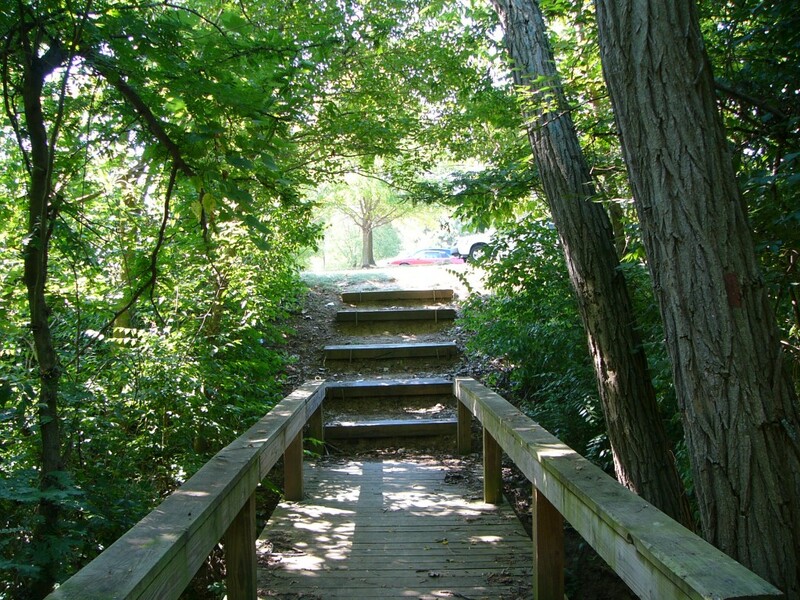 Deer Creek State Park is perfect for a quick weekend getaway from the Columbus area. It also makes a great destination for a golf weekend or even a full family vacation during the summertime. When traveling Ohio, don’t forget your Gazetteer!